Film composer John Williams has been a cultural leveller, bringing symphonic scores back to mass cinema audiences while elevating the status of film compositions in classical concerts, according to research by the University of Southampton's Dr Emilio Audissino. Dr Audissino suggests that Williams subtly challenged film music conventions in the 1960s before massively restoring the sound of the classical Hollywood film music throughout the 1970s and 1980s. 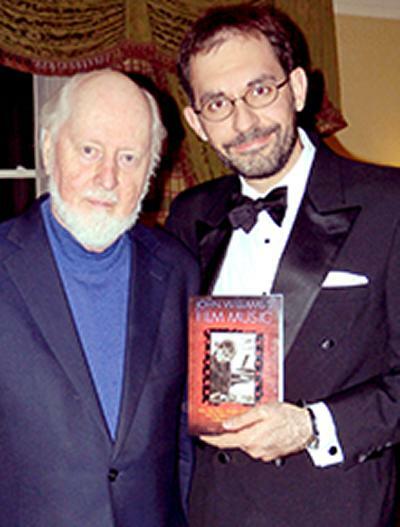 In the book John Williams’s Film Music, published by the University of Wisconsin Press, Dr Audissino explains that John Williams began to break the mould in the sixties by adding old-fashioned symphonic scores to movies at a time when the film industry used pop soundtracks to supplement box-office takings with LP sales. “Even in early works, Williams was showing a more classical-styled approach than his contemporaries,” says Dr Audissino. “I compared samples of works by Williams with films scored by the leading composer of the decade, Henry Mancini. The breakthrough moment for Williams, according to the author, was the 1975 blockbuster Jaws - the biggest budget movie to use a classical score since the heyday of classical Hollywood. As well as changing the perception of symphonic music in the film industry, Williams also changed the status of film scores in classical music concerts. Dr Audissino reviewed archive footage, newspaper clippings and concert programmes to reconstruct the period of John Williams’s tenure of the Boston Pops Orchestra. “Film music used to be programmed in the last part of the concerts, traditionally devoted to orchestral versions of pop songs or Broadway show tunes,” says Emilio. “From the outset, Williams presented film music in the first part of the programme too, which was traditionally the realm of music from the classical concert repertoire.